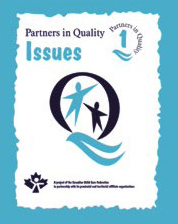 Canadian Child Care Federation, 1999–2000. 24–40 pages. ISBN 0-9685157-2X.